Greek wines are becoming more popular in the United States, but many varietals are still unfamiliar. With over 300 Greek wine varietals, mostly indigenous grapes, there is a lot to learn. Recently Odyssey, the Cava Spilladis Collection toured many cities in the United States, including Los Angeles and showcased nine family-run wineries that currently comprise the collection. George Spiliadis founded the collection in 2007. He intended to bring premium Greek wine varietals to North America. 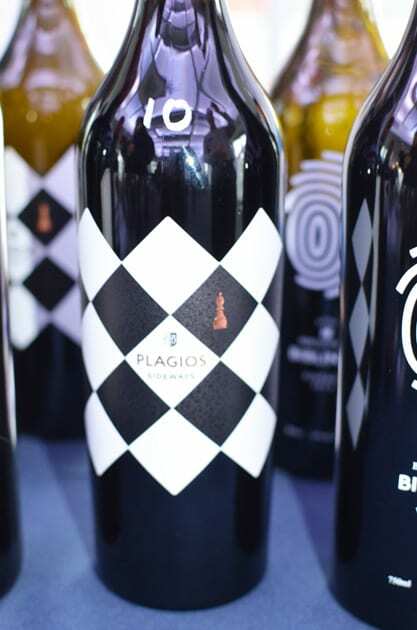 The nine wineries in the collection are Ktima Gerovassiliou, Ktima Biblia Chora, Domaine Katsaros, Ktima Tselepos, Ktima Driopi, Canava Chrissou, Parparoussis Winery, Rhous Winery, and Venetsanos. Several of the wineries were familiar. 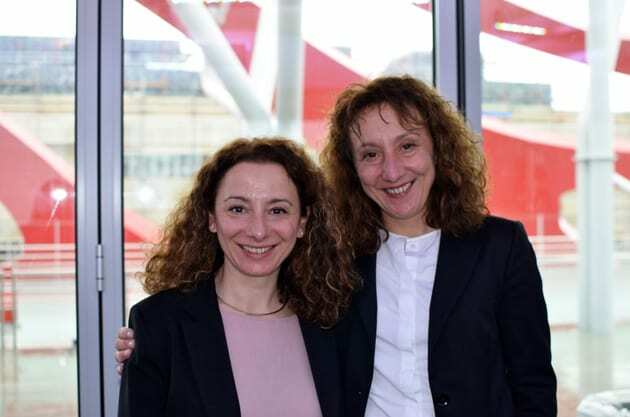 I had been to Santorini and visited Venetsanos and Ktima Gerovassiliou I had discovered in Thessaloniki at a hotel and later tasted through their portfolio of wines when they visited Los Angeles a couple of years ago. Most of the other wineries were new to me and featured several unfamiliar varieties. I will begin in northern Greece and move south to the Greek Islands. At each winery, I will list only those wines that impressed me the most at this tasting. Ktima Gerovassiliou is located about 25 km southeast of Thessaloniki in the Papamoa region of Epanomi. The winery consists of 63 hectares. The sloped vineyards lie on a peninsula with three sides of the property facing the sea. Winemaker/owner Evangelos Gerovassiliou is responsible for saving the Malagousia grape from extinction in the 1970s. Special to Ktima Gerovassiliou is their wine museum. The museum houses one of the largest collections of corkscrews as well as numerous other items pertaining to the art of making wine. 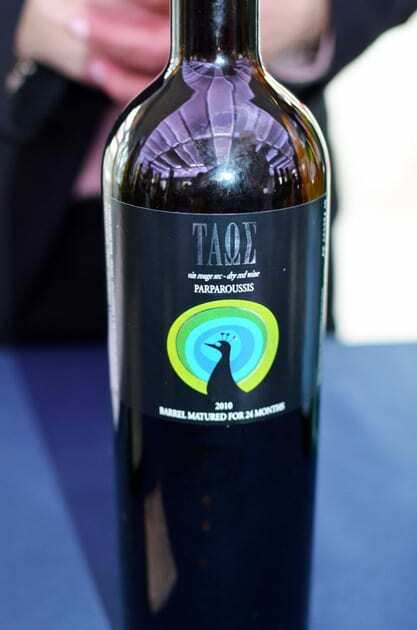 Malagousia 2015: One of my favorite white wines of this event. One finds a well-integrated wine with floral aromas and citrus notes. This wine is partially barrel fermented. Sauvignon Blanc 2013: This wine is also barrel fermented and aged for several months in barrels. I would describe this Sauvignon Blanc as subtle with tropical notes; the wine is full of pineapple and melon on the palate. Malagousia Late Harvest 2009: I finished off my tasting this dessert wine, which is very appealing because it is not too heavy and displays the wonderful flavors of apricot, honeysuckle, and nuts. It reminded me of Marmalade. Biblia Chora is the most northern of the wineries at the Odyssey tasting. Situated on the southern slopes of Mount Pangeon in Kavala, which is 100 km east of Thessaloniki. Areti 2014: Composed of Assyrtiko, the wine displays flavors of stone fruit especially peach. Sole Vidiano 2016: The wine blends Vidiano primarily with a tiny bit of Assyrtiko to deliver flavors of stone fruit with a nice acidity. Biblinos Rose 2016: Created in the French Provence style that is crisp and refreshing. The grape for this wine is not named at this point. In 2002 the grape was found on the slopes of the mountain. In Greece, one must produce wine with an unknown grape for 20 years before the grape can be named. Plagios Red 2008: Plagios means sideways in Greek and takes its name after the movie. The wine blends Merlot and Agiorgitiko to perfect a balanced, seamless wine. Parparoussis Winery is a family-run winery. Started in 1974 by oenologist Athanassios Parparoussis, the property consists of ten hectares planted with Assyrtiko, Athiri, Sideritis, Mavrodaphne and Cabernet Sauvignon. Today Athanassios and his two daughters, Erifili and Dimitra produce organic wine. Petite Fleur 2016: This Rosé made from Sideritis is very refreshing yet delicate with subtle nuances. It light salmon color derives from the skins being left on for one night. Assyrtiko 2015: A favorite because the wine reminds me of an unoaked Chardonnay. The wine ages five months on the lees in stainless steel. Flavors of stone fruit are quite apparent. The wine delivers less acidity than what is typical for Assyrtiko. Taos 2010: The name Taos means Peacock. This wine ages for two years in 60% old and 40% new oak. The wine is dry yet complex with flavors of red fruit. Moschato Patras 2013: This late harvest wine made from Muscat from the Rio Patras region is beautiful with it flavors of apricot. Mavrodaphne Patras 2003: Another late harvest wine but from Mavrodaphne, a red grape. On the palate, one finds flavors of dried fruits, sour cherry, and prune. Ktimatselepos is another winery in the Peloponnese. 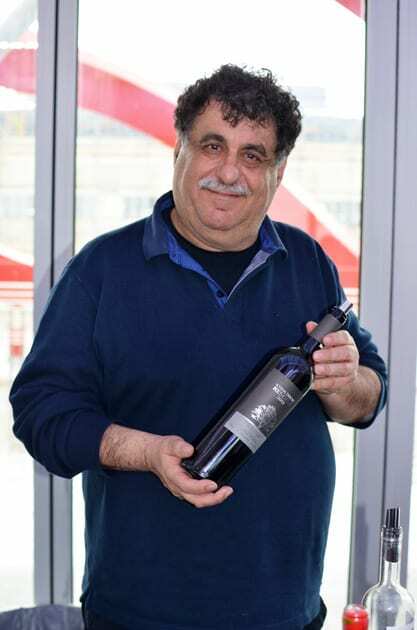 Giannis Tselepos is the owner/winemaker and he founded his winery in 1989. He also owns Ktima Driopi in Nemea, where he purchased this 50-year-old vineyard in 2003. This area is known as the ideal place for growing Agiorgitiko grapes. Amalia Brut: Sampling both the NV and the Vintage 2013, I found the NV sweeter and brighter with flavors of almonds and stone fruit, whereas the Vintage seemed more sophisticated with dominant flavors of almond. 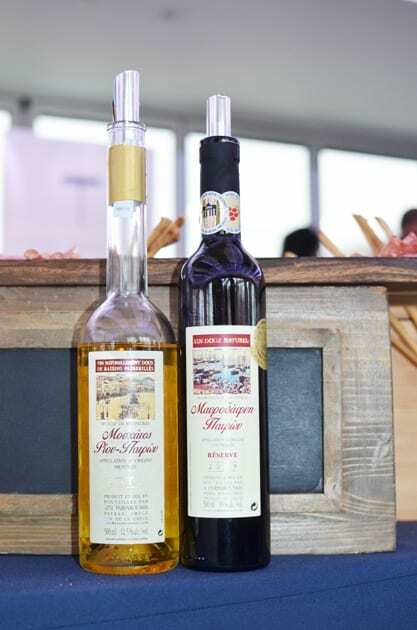 Both utilize the Moschofilero, a very aromatic grape that delivers spicy undertones. Mantinia 2016: Created from the Moschofilero and produces an everyday drinking wine that is refreshing and bright. 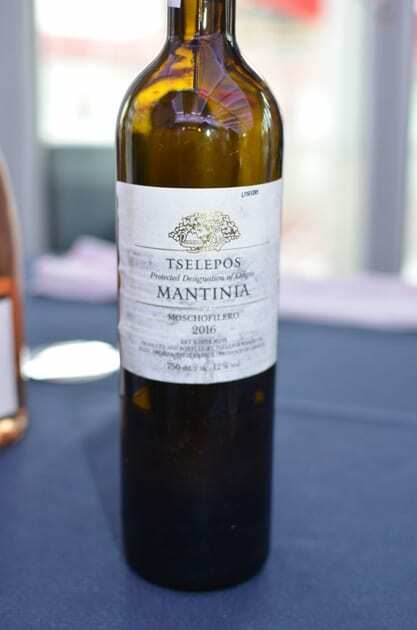 Driopi Rosé 2016: This Rosé is an excellent example of what the Agiorgitiko grape can produce in the region especially this one with its very subtle nuances. Driopi Nemea: I sample both the 2015 and the 2013 reserve. A classic red wine made from the Agiorgitiko grape. The wine ferments in stainless steel followed by ten months of aging in oak barrels. The reserve ages longer in new oak. 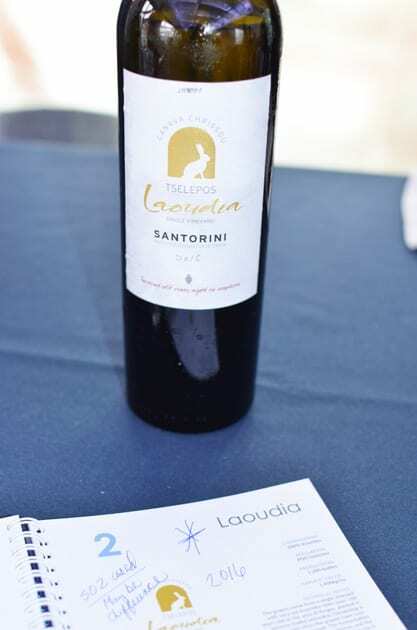 The wineries featured represented Santorini and Crete. Santorini is known for its volcanic soils. Due to the gusty winds on the island, the grapes grow differently. They must be trained to grow low to the ground. Unstaked vines are twisted together into a wreath like basket and protect the grapes from the island’s wind and heat. As the vines develop, they are woven into a basket with the grapes facing inward towards the baskets ring. The leaves cover the grapes thereby protecting them from the sun. This training method is called Koulara. Canava Chrissou located on Santorini specializes in making wines from the Assyrtiko grape. 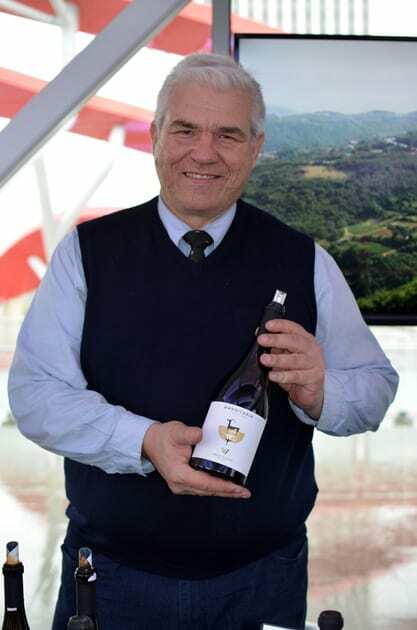 Winemaker, Giannis Tselepos joined the Chrissou team. Laoudia 2016: Laoudia means the holes where wild hares next. Perhaps these holes can be found in the single 100-year old vineyard in the area of Pyrgos that constitutes the grapes in this wine. The grapes are harvested when the grapes are over ripened. The fermentation and aging are done in amphorae, aging for eight months on the lees and then ten months in the bottle. All these factors make this Assyrtiko unique and special. Atypical for Assyrtiko is the depth of this wine. You would think it ages in Oak. The Citrus flavors are prominent, and the wine has a nice acidity. The oldest winery in Santorini, Venetsanos has one of the most magnificent views overlooking of the port of Santorini. It was interesting to see the changes new winemaker Christos Kanellakopoulos is infusing into the winery and wine production, especially since I had visited and tasted the wines under their last winemaker. Santorini 2016: This wine also feels like it ages in oak. It sits 4-5 months on the lees. On the isle of Crete, the family-run winery of Rhous focuses on the indigenous grapes, many of which were about to go extinct including Vidiano, Moschato Spinas, and Plyto. Since 2011 Maria Tamiolaki and her husband, Dimitris Mansolas. They met while studying and working in Bordeaux. Rhous mean flow in Greek and for the winery, it is the continuous progression of things, and the different paths people follow to discover themselves. This theme represents the meeting of Maria and Dimitris. Their lives were separate until they meet while studying in Bordeaux. Each label also represents the journey that Maria and Dimitris took. The Rhous White, a blend of Muscat of Spina and Vidiano features the explorer, Captain Cook. The label symbolizes Dimitris’ journey from Northern Greece to Crete. The wine is aromatic and spicy. The Rhous Rosé is adorned with the likeness of botanist Jeanne Baret, the first female to circumnavigate the world. This label represents Maria’s journey from Crete to France and back. The third is this journey trilogy is the Estate Red and represents the coming together of Maria and Dimitris, thus steering them along a new path in a new direction. Rhous second label is called Skipper. On a ship, the skipper sets the direction the ship will take. 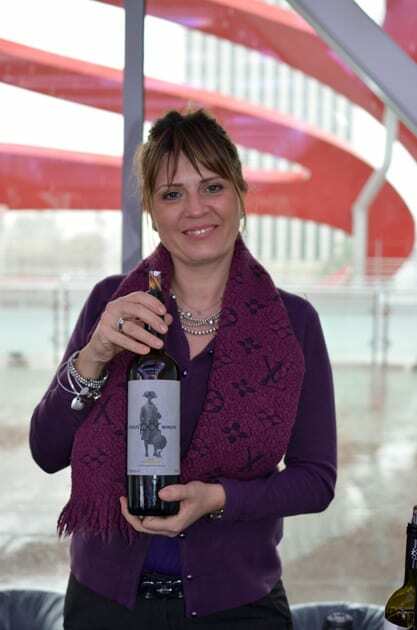 In the case of Rhous, it is the new direction that the young couple envisions for their winery. Rhous’ theme emphasizes the path the younger generations of family-run wineries are taking in Greece. Perhaps it also represents the journey that the Cava Spiliadis Collection exposes us to when we taste many of their Greek wine varietals.